EchoRFID™ has successfully developed PIPETALKER™, a system that will revolutionize how materials are tracked and traced, how construction documentation is retained, and how integrity management will be conducted in the future, all to provide significant value to pipeline owners and operators. EchoRFID is a Colorado Limited Liability Corporation with the head office located in Grand Junction, Colorado. EchoRFID is focused on creating innovative solutions to address the many problems facing industry in the areas of material management, construction management, and integrity management. The EchoRFID patented system provides 'a cradle to grave' asset integrity management solution. EchoRFID was created by a unique collaboration of pipeline installers, regulators, software developers, standards writers, corrosion specialists, academic researchers, and engineers with experience in the pipeline industry since the 1970s. EchoRFID venture partners were instrumental in creating the Pipeline Open Data Standards (PODS), the profession of subsurface utility engineering (SUE), and patents ranging from GPS, to RFID, to GIS technologies and processes. For years, both integrity management and data collection have been looked upon with frustration and neither has been well defined which has been the cause of prohibitive consequences throughout the entire industry. 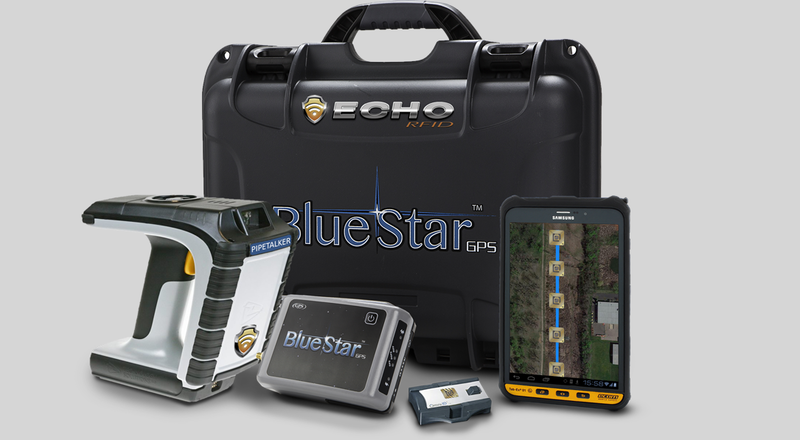 EchoRFID's unique system is a convergence of new technologies, including RFID, Mobile, and GPS to deliver solutions for pipeline owners and operators that not only want to comply with pipeline integrity regulations but also derive real value from these requirements. Welcome to EchoRFID. All Content ©2017, EchoRFID. All Rights Reserved. EchoRFID and PIPETALKER are trademarks of EchoRFID 2017.